This week saw three new appointments to the UK Supreme Court, which has in turn prompted discussion of equality and diversity within the senior judiciary (unsurprisingly, all three of them are white, male and “of a certain age”), as well as Conservative warnings over withdrawal from the European Court of Human Rights. Welcome back to the UK Human Rights Roundup, your regular booster shot of human rights news. The full list of links can be found here. You can also find our table of human rights cases here and previous roundups here. ilegal founders Patrick Torsney and Colin Henderson have launched a survey in collaboration with Centre for Human Rights in Practice researchers at the University of Warwick, focused on discerning the impact of LASPO legal aid cuts to professionals working in relevant sectors and their clients. Participation has been encouraged by both the Legal Voice and Pink Tape blogs, and the survey itself may be found here. 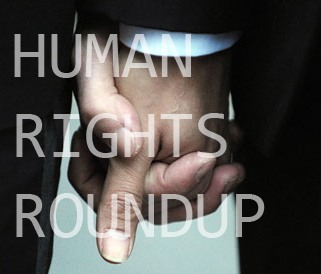 Welcome back to the UK Human Rights Roundup, your recommended weekly dose of human rights news. The full list of links can be found here. You can also find our table of human rights cases here and previous roundups here. This week, the focus of the online commentary has been very much on the subject of equal access to justice, which is beset on all sides from legal aid cuts, the proposals for secret courts to protect sensitive government information, the lack of representation for the judiciary in the government, and the efficiency drive in Strasbourg. A bumper crop of human rights news this week, owing largely to the conclusion of the Eweida case which has been widely discussed in news outlets and legal blogs alike. There have been other significant cases decided this week also: the undercover police case (AKJ and others) and the Rocknroll case, a high-profile celebrity privacy case. In other news this week, public insults are to be legalised, but offensive columnists are censored. Calling all students! Interested in a career in Judicial Review and human rights? The HRLA is accepting applications for its inaugural Judicial Review competition, deadline 4 February – all details here. This week the Commission on a Bill of Rights reported its findings, and commentary on the report has dominated the blogoshpere. We also have some analysis on the latest developments in the Hillsborough saga, analysis of the Redfearn (the BNP bus driver case) case and comments on prosecutions involving social media. You may also notice that the UK Human Rights Blog has a slightly refreshed design – please do send us your comments if you have any. Commentary on the Leveson report is again dominating the blogosphere this week – and once again, there is some discussion on whether the UK should maintain a relationship with Strasbourg. Gay marriage is also back in the news. However, we also have some “new” news, covering such diverse topics as homosexuality in the Channel Islands, “indie lawyers” and legal aid. A quick reminder: tomorrow (Monday 10 December) is Human Rights Day. We will be hosting a guest post which you can read in the morning. Welcome back to the UK Human Rights Roundup, your weekly smorgasbord of human rights news. The full list of links can be found here. You can also find our table of human rights cases here and previous roundups here. A bumper edition this week, mostly thanks to Lord Justice Leveson and his long-awaited report, released this week to a tumult of online commentary. In overshadowed, but potentially no less significant news, the House of Lords approved amendments to the “secret courts” Justice and Security Bill; the Joint Committee on Human Rights reported on the Crime and Courts Bill, and we have another round of arguments for and against the UK’s continuing association with the European Court of Human Rights. The Rahmatullah Supreme Court judgment remained in the spotlight this week, but had to share it with old faces such as Abu Hamza (whose case has managed to keep outraging the public despite his extradition to the US), the loudly ticking clock of prisoner voting and the attendant debate over whether the UK should replace the Human Rights Act with a “British” human rights statute. Meanwhile, the ruling on whether Abu Qatada can be deported to Jordan is coming tomorrow (Monday). This week, free speech continues to be widely discussed, along with prisoner votes and the popular conception of human rights law in the UK. A group of Birmingham women win a landmark equal pay case in the Supreme Court and the Chief Coroner speaks. Public Inquiries and inquests have dominated the headlines recently, with members of One Crown Office Row appearing in many of them. On 8 November 2012 One Crown Office Row will be hosting a mock trial and panel discussion on the topic – there are still a few places left for legal practitioners, full details here. This week, free speech and social media has again created a lot of online commentary, with UKHRB founder Adam Wagner chairing a panel discussion on the subject. Also hitting the blogosphere this week: the government’s proposal to opt out of 130 EU criminal law measures; the progress of the Azelle Rodney Inquiry; comments on the Gary McKinnon case and Prince Charles’ letters to government ministers. The big human rights news this week is the extradition of Abu Hamza, Babar Ahmad and others following their failure to persuade the European Court of Human Rights to grant them an appeal and their loss in the High Court, precipitating discussion in the blogosphere on the UK-US “special relationship”. In other news, the claim by the Kenyans seriously injured and tortured in the Mau Mau uprising 1952-60 was given the go-ahead despite arguably being time-barred and Lord Neuberger was sworn in as President of the Supreme Court. Welcome back to the UK Human Rights Roundup, your weekly booster shot of human rights news. The full list of links can be found here. You can also find our table of human rights cases here and previous roundups here. Now that the Games are ending along with the August legal vacation, human rights news is back in force – it’s been a big week for commentary. Our top stories this week: gay rights, religious freedom and what the new Cabinet roster may mean for our justice system. With the Olympics over now, there’s been a bit more activity in the legal blogosphere this week. Probably the biggest news is the guidance from the Senior Presiding Judge that may stifle judicial blogging altogether – the guidance requires that a blogging judge be unidentifiable as a judge . In other news, the Free Movement blog features a series of three posts this week discussing the July 2012 changes to the Immigration Rules; locked-in syndrome sufferer Tony Nicklinson loses his High Court case and yet another twist in the tale of Julian Assange emerges.